Modern ash veneer wardrobe that matches other furniture items in the Savannah Collection. This bed has painted MDF doors with cut out handles to create a smooth and sleek finish. This wardrobe provides ample storage space with one full width hanging rail and 2 drawers. 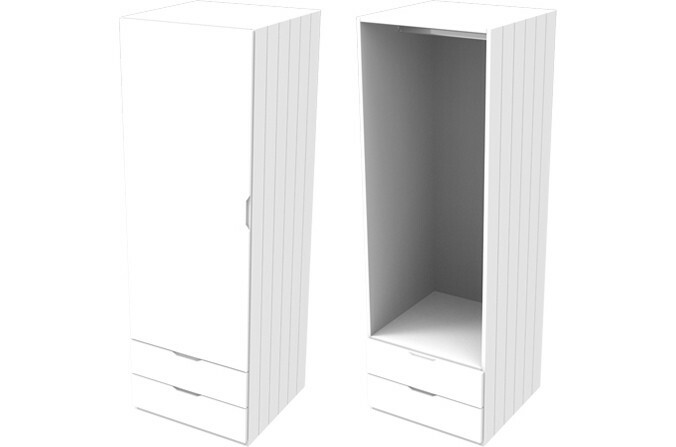 Savannah White Single Combi Wardrobe - Painted Arctic White also available in Elephant Grey or Starlight Pink. Ash veneer external panels with painted MDF doors with cut out handles.